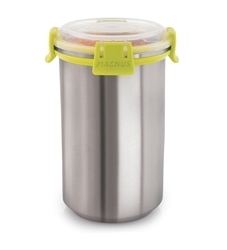 Providing you the best range of klip lock stainless steel cannister with effective & timely delivery. We supply Stainless steel canister which is leak proof and airtight. It is easy to remove and refit.